Not really a evening spot but a fantastic little place none the less. Bagels and bacon baps are the order of the day along with lots of delicious fresh smoothies and milkshakes. Rated No. 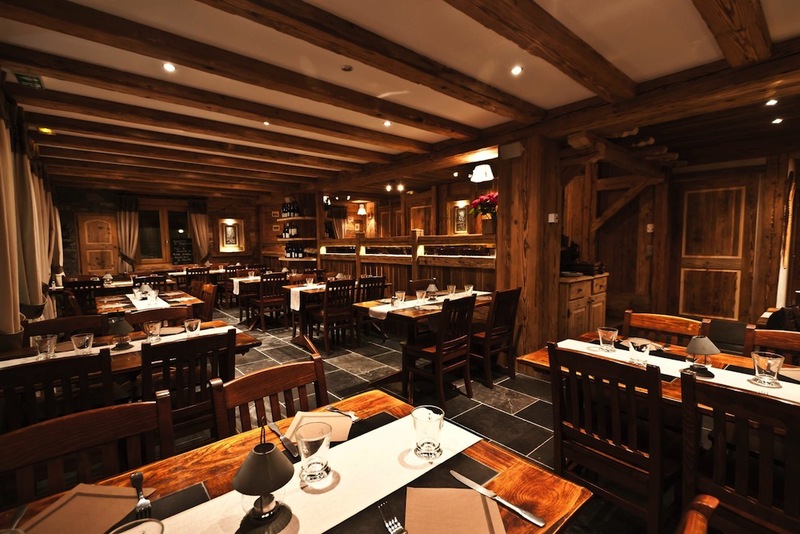 1 restaurant in all of Morzine and for good reason. Cheese, cheese and lots of cheese. They don’t scrimp on ingredients here and the fondues, raclettes, reblochonnades, and tartiflettes are excellent. It is also very reasonably priced at around €15 – €20 for a big main course. Try the enormous Raclette for two people. A very ambitious menu set in a beautifully renovated dining room. The food is possibly best described as modern alpine cooking with influences from classic french haute-cuisine. A good example of this is the home made duck foie gras marbled with chocolate and port. It is interesting and delicious in equal measure. Main courses are around €20 and the fancy 6-course tasting menu is €75 per person.